Everyone wants to be perfect. We go to the spa salons and gyms. We spend a lot of money to become perfect. But think a little. What if you can become stronger or slender at home? Don’t you believe? Yes, you can. Plank is one of the most popular exercises to build a perfect body. You can view a list of apps below and choose the one that is perfectly suitable for you! Do you want to be strong and slender? You can train your muscles to max at home using only your smartphone. The app allows you to become stronger for 30 days. It has an intensive plan starting with easy tasks and ending with difficult. It has several levels of difficulty. You will be motivated because you want to build strong muscles. Just download the app and start right away. Every day the app adds 6 sec to the workout. You can choose the level of difficulty that is suitable for you. The app graphs your progress. You will always be aware of the improvement. It also has rest days to help you to recover your power. If you don’t know what to do, the app has tutorials for every level. Compete with friends. It is funny. You won’t miss training because the app will remind you about it! Challenge your muscle power with 30 Day Plank Challenge. You can change your body doing only plank challenge. The app is calculated at 5 weeks. This exercise can change your abs and arms. The training program is perfect for busy persons. You will train 4 in a row and then relax for 3 days. Why is the break so long? Because your muscles need to recover. It is an effective way to change your strength. 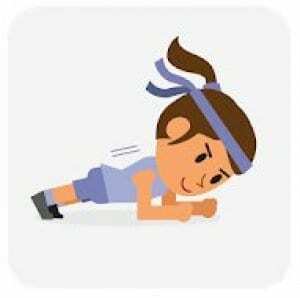 After 5 weeks you will be able to make a plank longer than 240 sec. 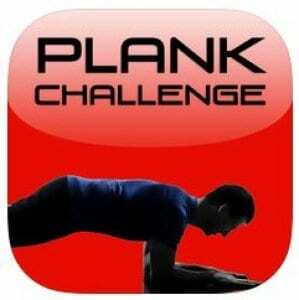 If you are dreaming to make a plank for 3 or more minutes, then the app is exactly for you! It has a simple and intuitive interface. It is just what you are looking for to build a perfect body. Do you want to learn how to do different planks? The app can help you with it. It has all kind of planks for beginners and advanced people. You will get rid of fat or strengthen the power of muscles. It takes from 5 to 10 minutes a day to achieve a perfect body. You can create a personal training plan. You don’t need to go to the gym. You can train at home at any time. The app helps people to burn excess fat. You can get rid of back pain and energize for all day. The plank can speed up your metabolism. You can track your progress. If you are not fully satisfied with the result, you can start again and increase complexity. With every day plank, your body becomes stronger and more powerful. It is a plank timer for people with different strengths. It was created to make easier training time. 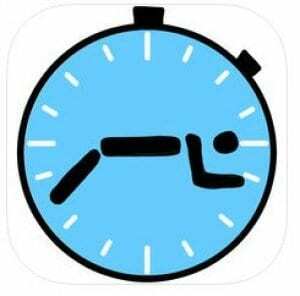 The app can calculate the personal time for plank challenge that is suitable for you. It has several levels of difficulty. You can choose that one which you can handle. It was designed for 30 days but you can repeat it all over again. There are ready workout plans. You can also create your own. It also has a great reminder. You won’t forget about the training time. You will get a notification every day. Don’t ignore it because it becomes really annoying. It is easy to use and not too strict. Try it and you can increase your power! 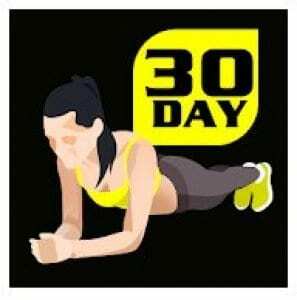 Challenge yourself with 30 days of plank challenge. Prove yourself that you can do this. You will get a perfect body and a lot of strength. 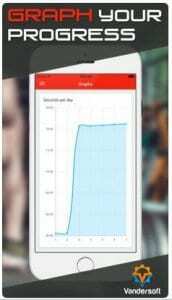 The app has been downloaded more than 500,000 times. It can help you to transform yourself. 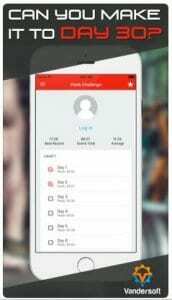 The app has a smart calendar that helps you to track the progress of your work. You can slowly increase the strength and brighten you up. Don’t give up, go to the end. 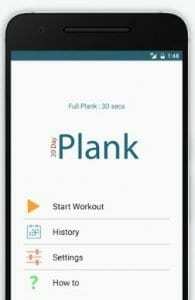 It is a very good app for plank workout. You can choose the time when the app can remind you about the train. You can also choose the time when you are lazy. The app won’t bother you at that time. You will listen to the music that is exactly suitable for plank challenge. It has been added 2 new exercises recently. It is combo and side plank. Try it and build your perfect body. 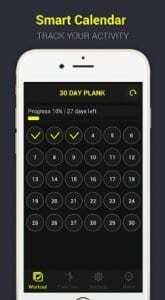 It is the plank challenge app that was specially created for women. It is 30 days trainer app. It has a wonderful design that can make your workout more comfortable. It takes 30 days to develop a new habit. The app can help you with it. 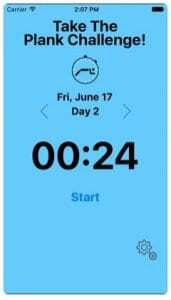 The app will congratulate you every completed day. It can motivate you to continue the plank challenge. The app has a 3D animation. It makes the app more beautiful. You can easily build a perfect body and burn fat. 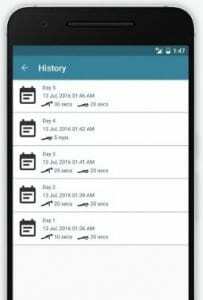 You can track your progress and then share it with your friend via social media. The app has a daily reminder. You won’t miss a train. 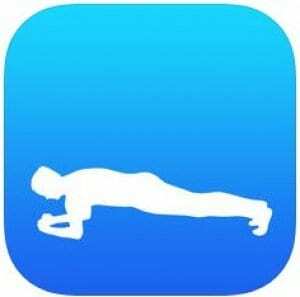 The app can help to learn how to do the perfect plank. Every day you will try different kinds of planks. Every kind of it can train different muscles. Combination of plank can help to build the perfect body. The first day is an easy day but next days become more difficult. The complication occurs in order to strengthen muscles. It fits for men and women of all ages. Children can also try it. You will be always motivated using this app. After 30 days you will see the changes in your body. 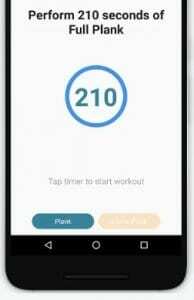 The app has various exercises. You will see the progress table to understand your strength. All statistic is in one app. You can view performance history and track your progress. 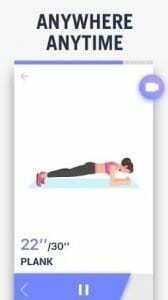 The app will teach you how to do elbow plank. It doesn’t allow you to have a rest on holidays. The app is created to help you to build the body of your dream! Regular exercises make you perfect. Don’t forget that you can totally change your body in less than 5 minutes a day. Planck exercises are the full body workout. But make sure that you talked to your therapist before you begin the 30-day plank challenge. Your doctor can tell whether it is suitable for you or not.